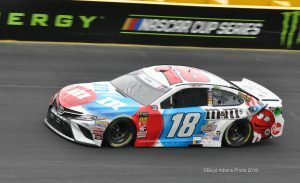 CONCORD, NORTH CAROLINA — Kyle Busch has won the first two stages of the Coca-Cola 600. 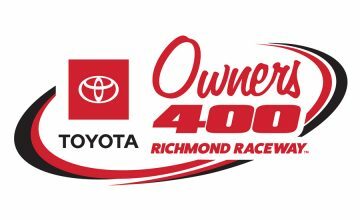 Busch will have one extra chance to earn maximum points as this race is run with four stages, each 100 laps. These stages also award the winner a playoff point, the rarest form of championship currency; each point is one less position Busch will have to battle for during the playoffs. 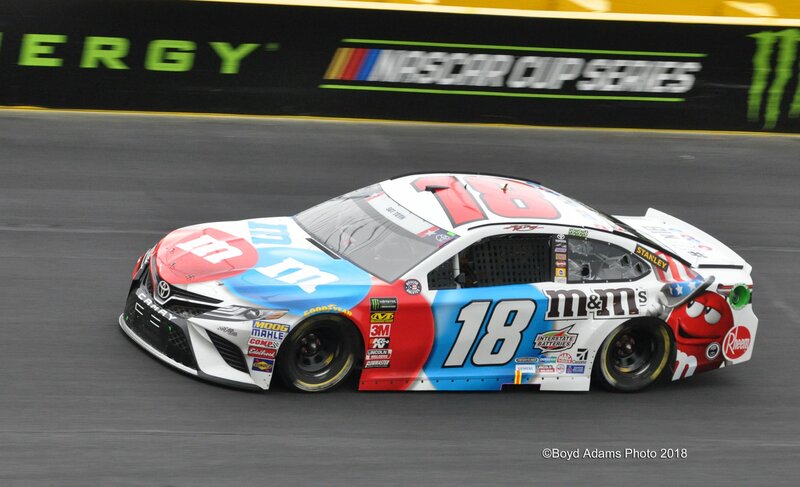 Kyle Busch leads the Coca-Cola 600. Photo by Boyd Adams. 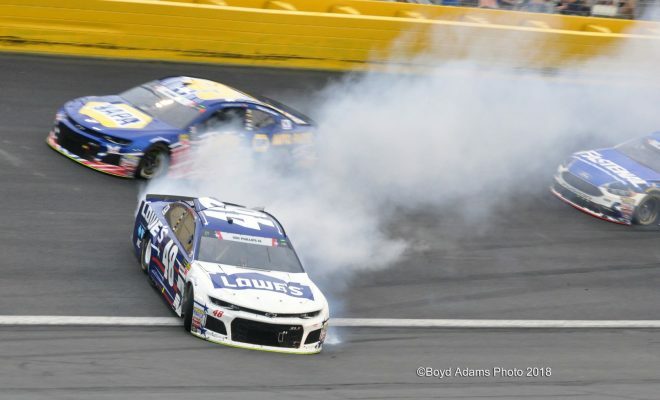 As of the 200 lap mark, Busch had led 179 laps with no sign of easing up on the competition. Only three other drivers have held point, but Joey Logano is the only other to lead more than seven laps. Busch may have even led those laps if Logano, as well as Denny Hamlin, hadn’t pitted following a Jimmie Johnson spin. Those pair of drivers stayed out during a caution that flew shortly after, but if they hadn’t been put on a diverging strategy Busch very well could have led all green flag laps since he took the lead. 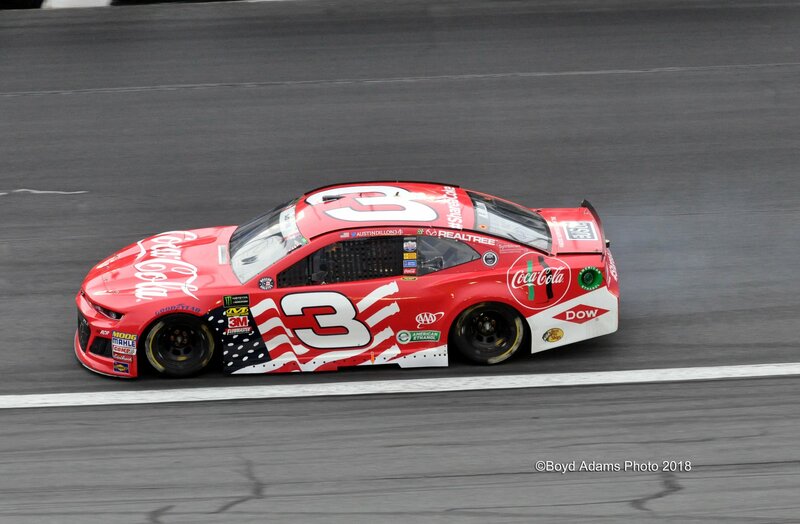 Austin Dillon brought out the first caution of the race when he blew a right-rear tire. Photo by Boyd Adams. 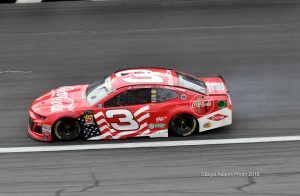 The defending race winner, Austin Dillon was among those with an issue early in the race, blowing a tire on lap 38. The Daytona 500 champion kept his Chevy Camaro ZL1 off the wall but his car had moderate damage to the wheel well. Dillon lost one lap under this caution period, the first of the race. About five laps after the race restarted, Dillon brought his car down pit road once again. Heavy smoke was bellowing out of the wheel well, so the team brought the car in to check for a fire. Kevin Harvick, the driver with six wins (including the All-Star Race), started from the rear of the field after his car failed to pass pre-qualifying inspection on Thursday. In 67 laps, or 100.5 miles, Harvick drove his way into the top-five — making him the highest running of the Stewart-Hass Racing drivers. 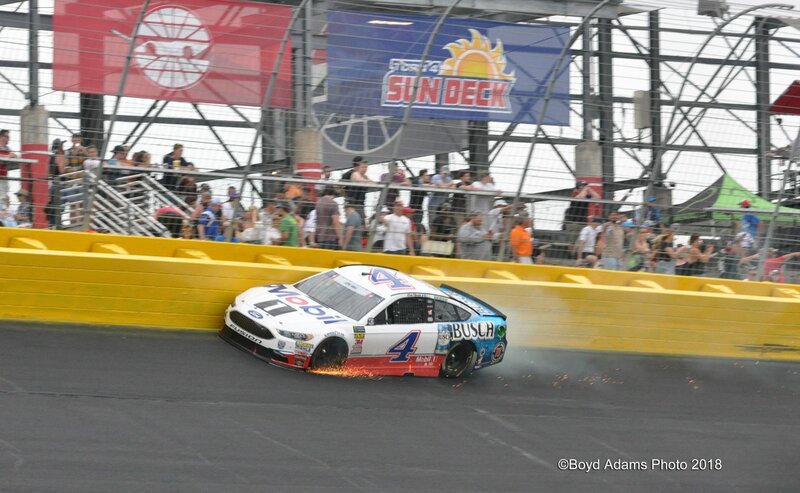 Kevin Harvick grinds against the turn-three wall. Photo by Boyd Adams. 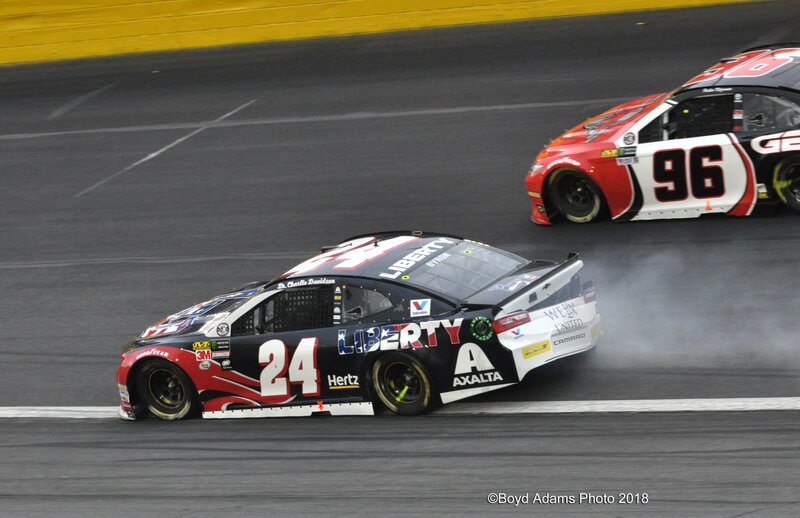 William Byron, the rookie Hendrick Motorsports driver, piloting the famed No. 24, crashed out of his first Coca-Cola 600. 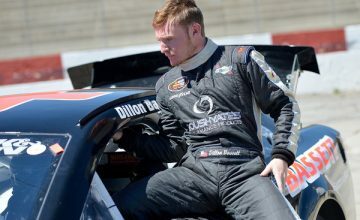 Thirteenth fastest in final practice, Byron was “trying to make the top work” during the opening stages of the 600-mile race, but he was battling “a really loose” race car. William Byron pulls his car off the race track after twitching up into the wall. Photo by Boyd Adams.